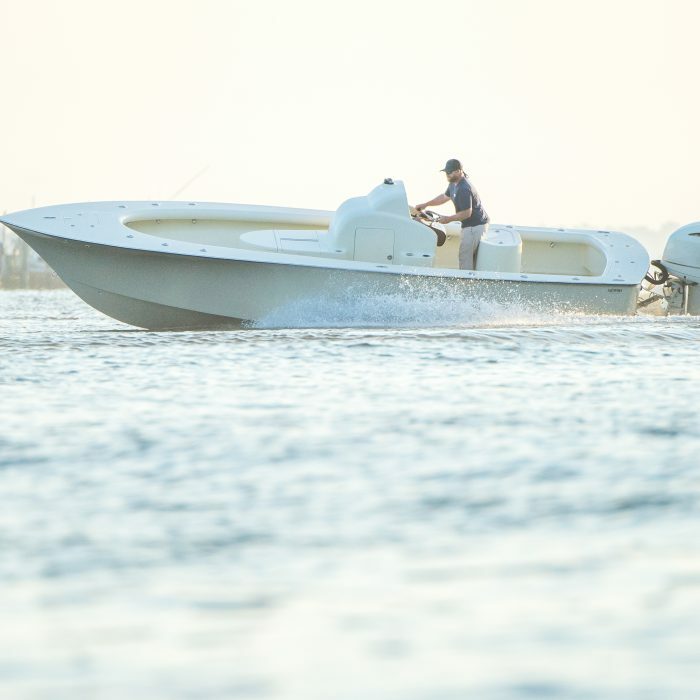 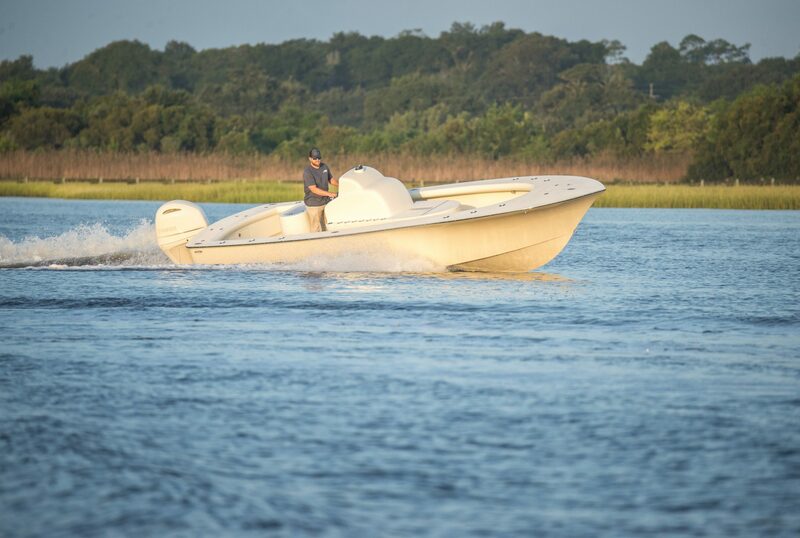 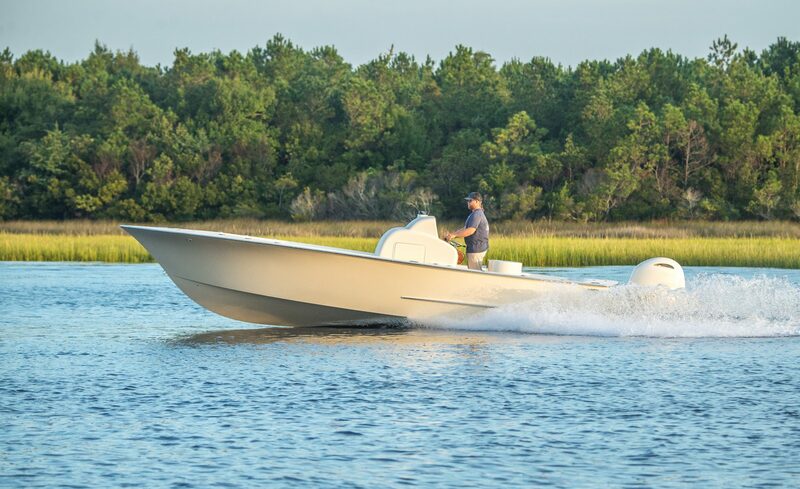 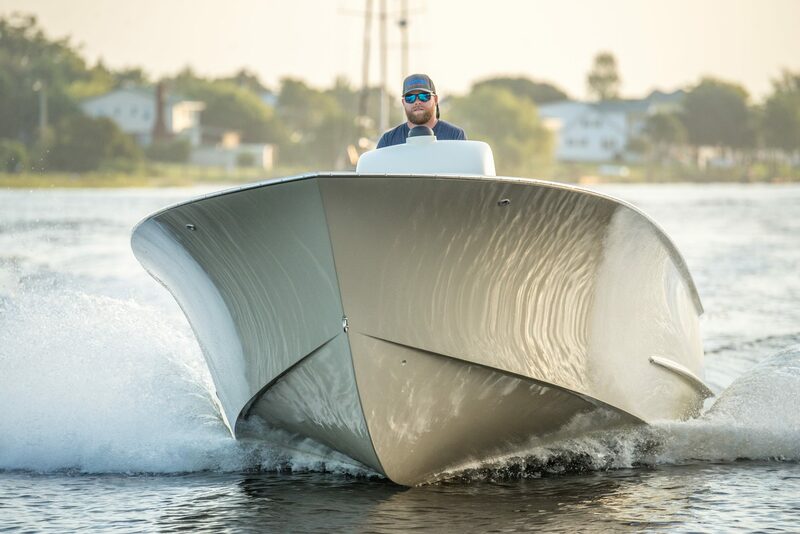 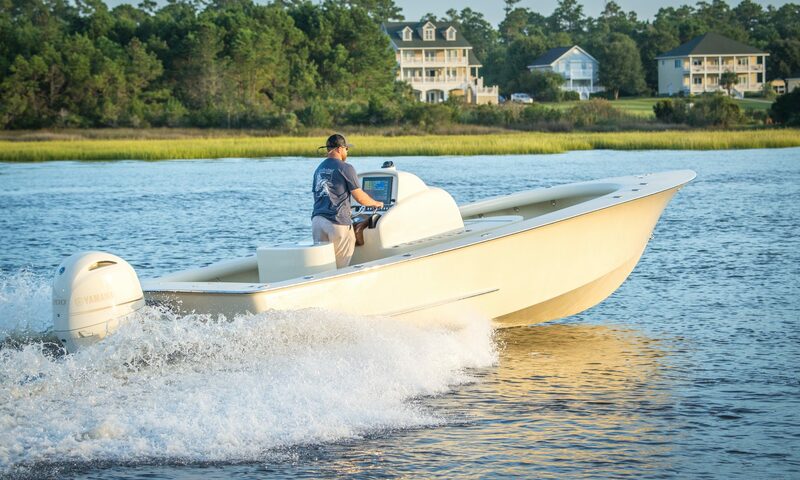 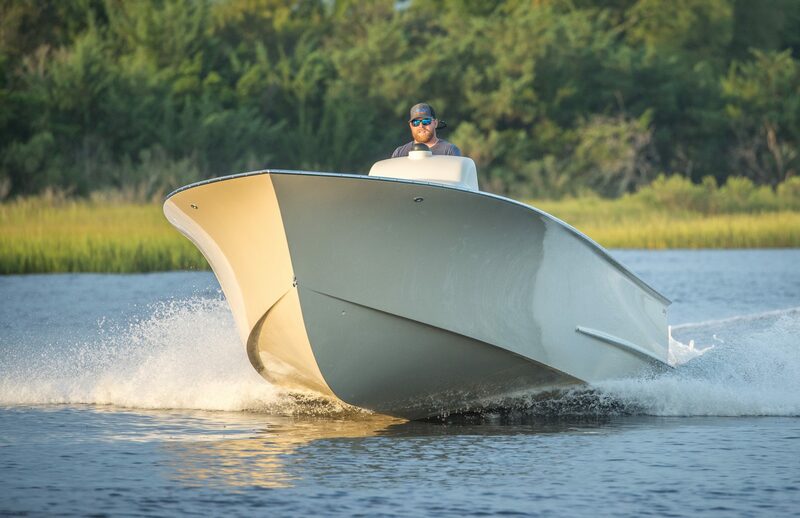 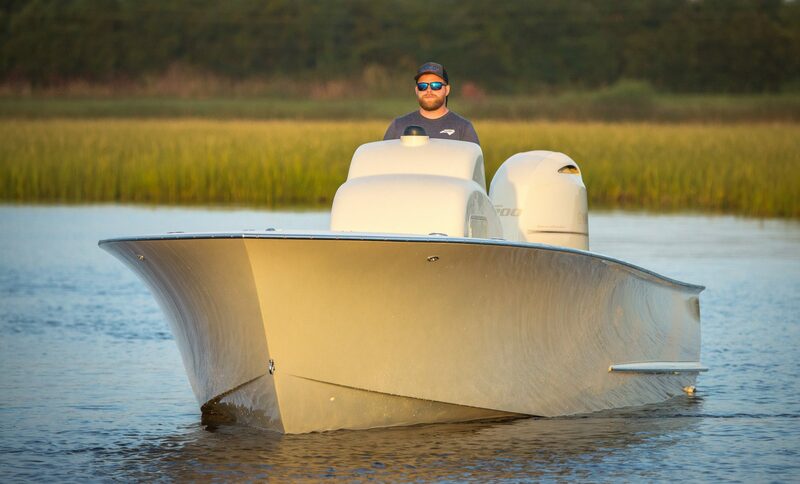 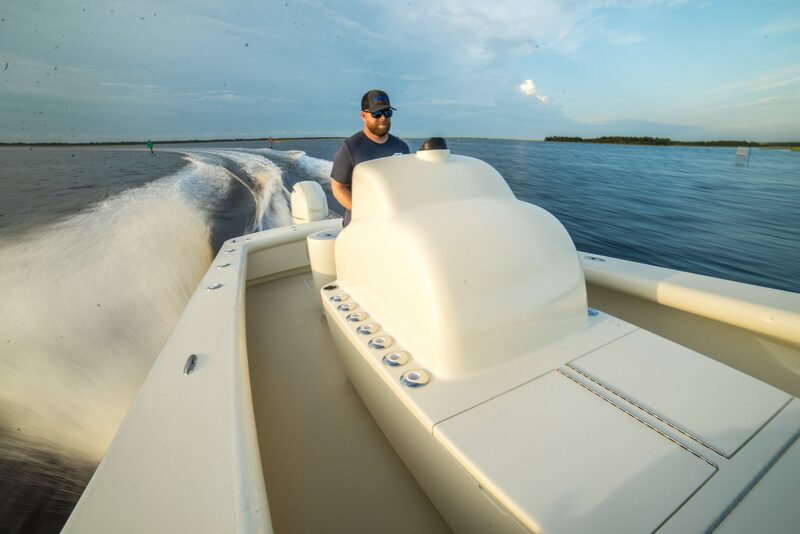 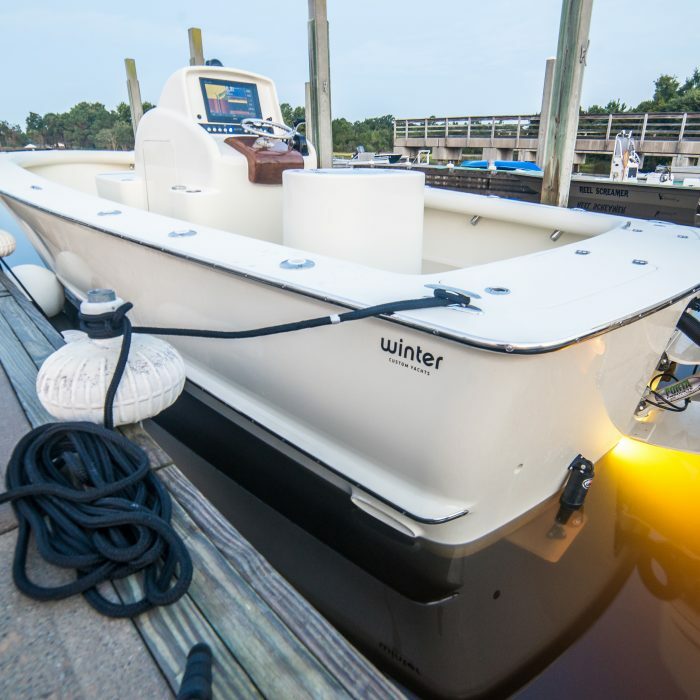 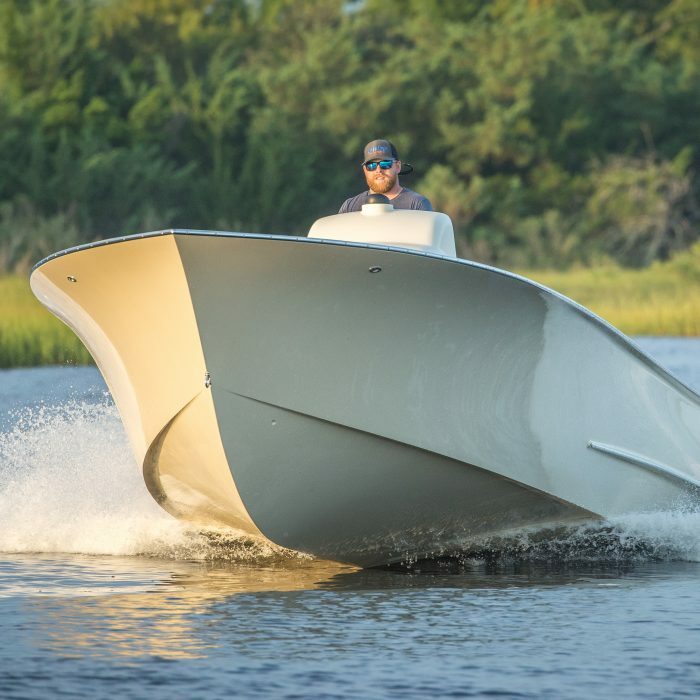 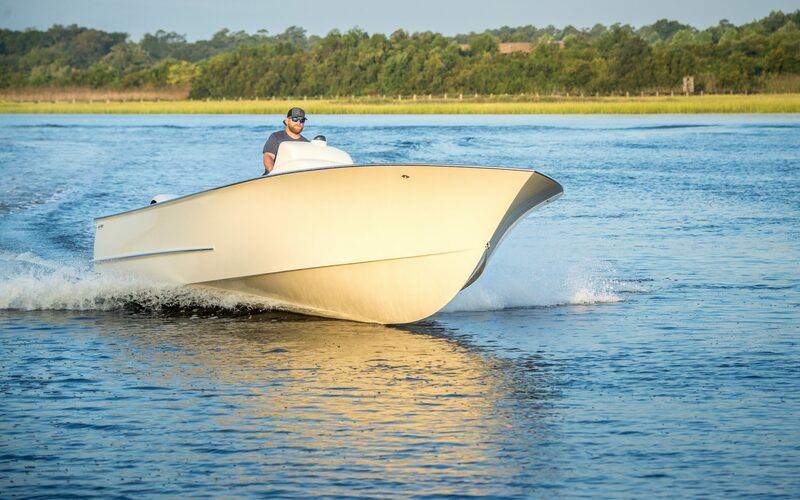 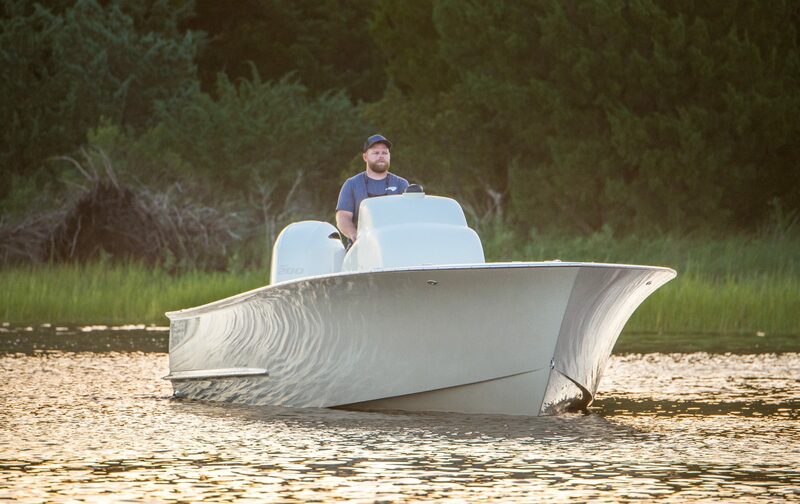 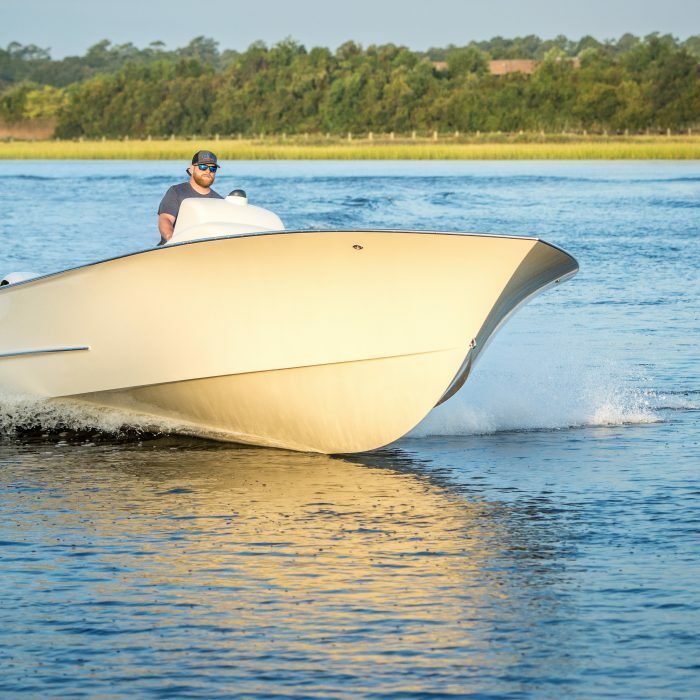 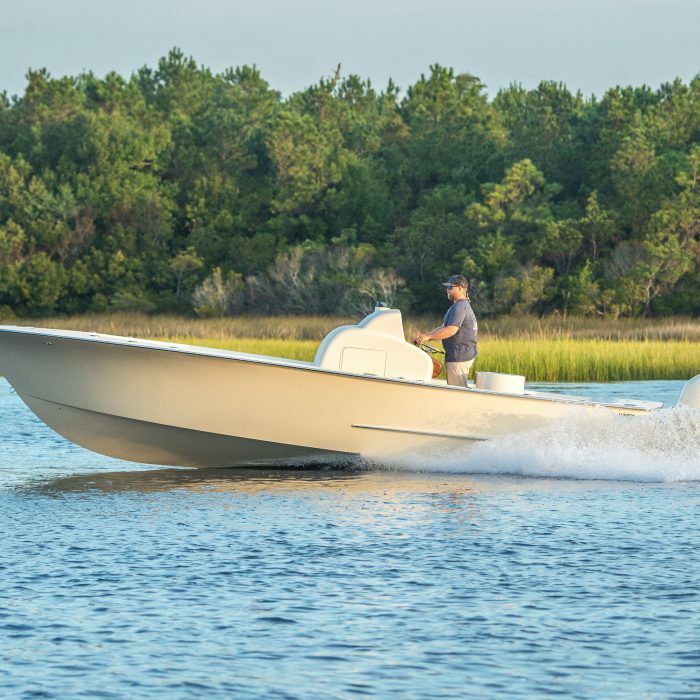 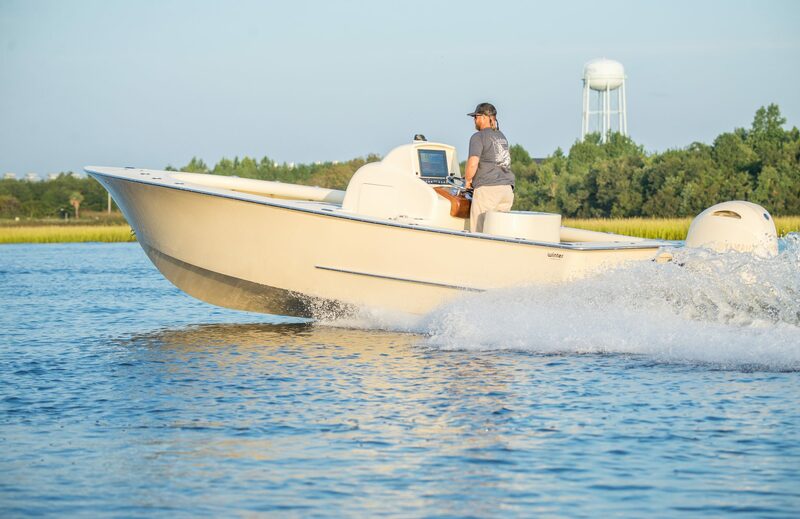 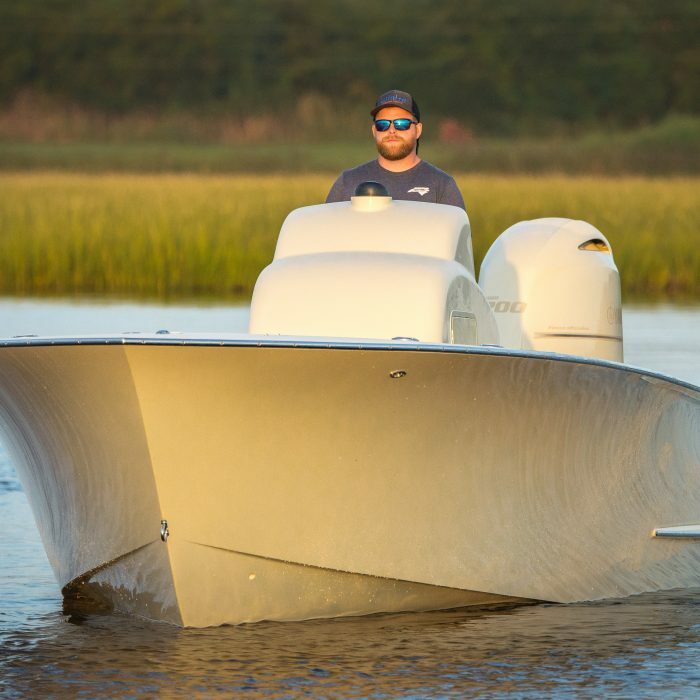 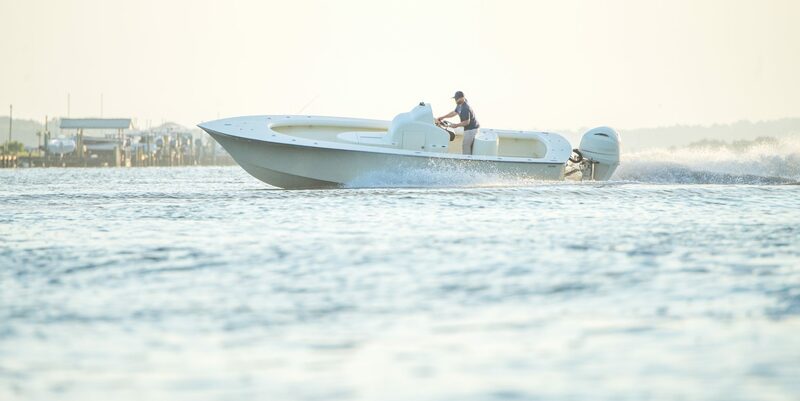 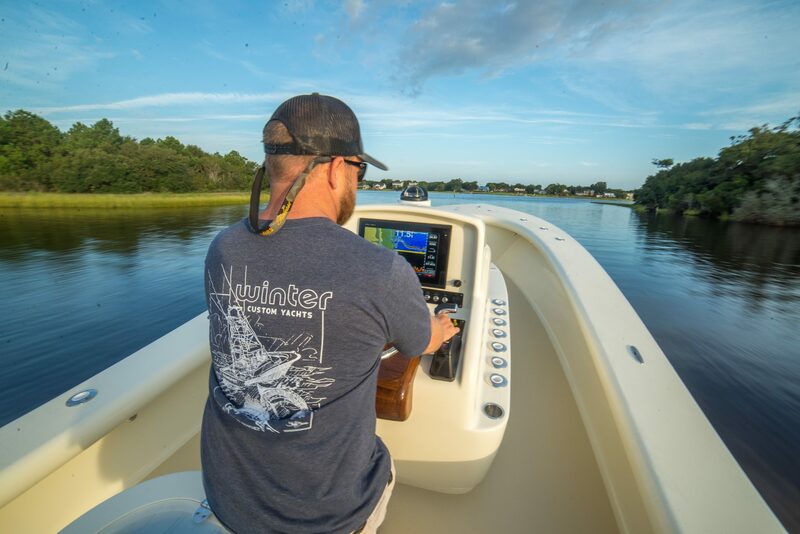 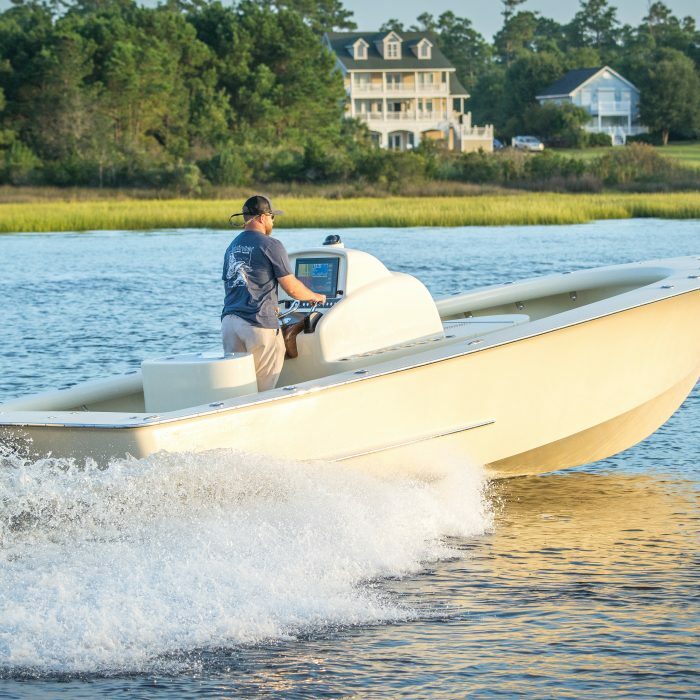 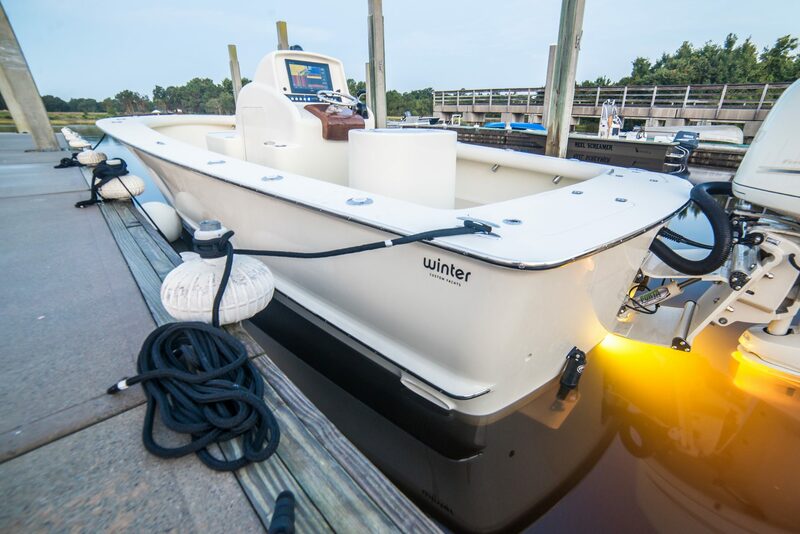 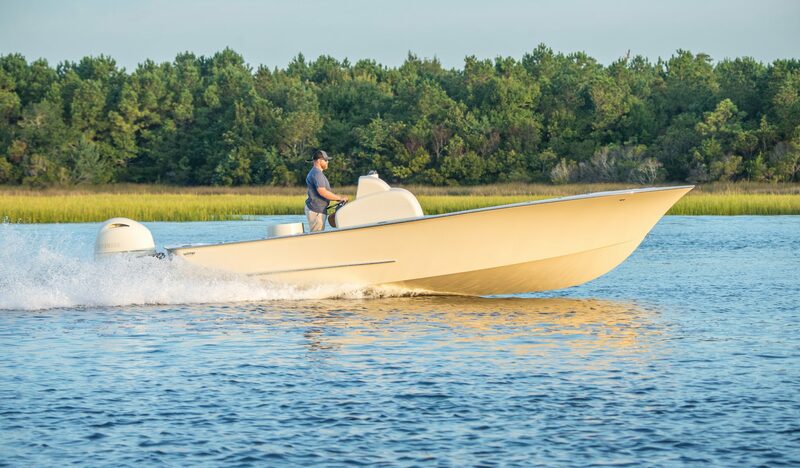 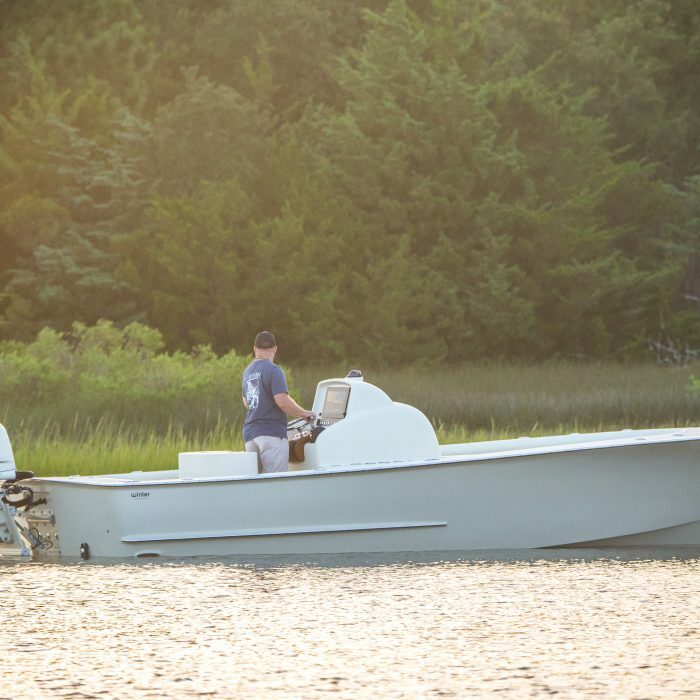 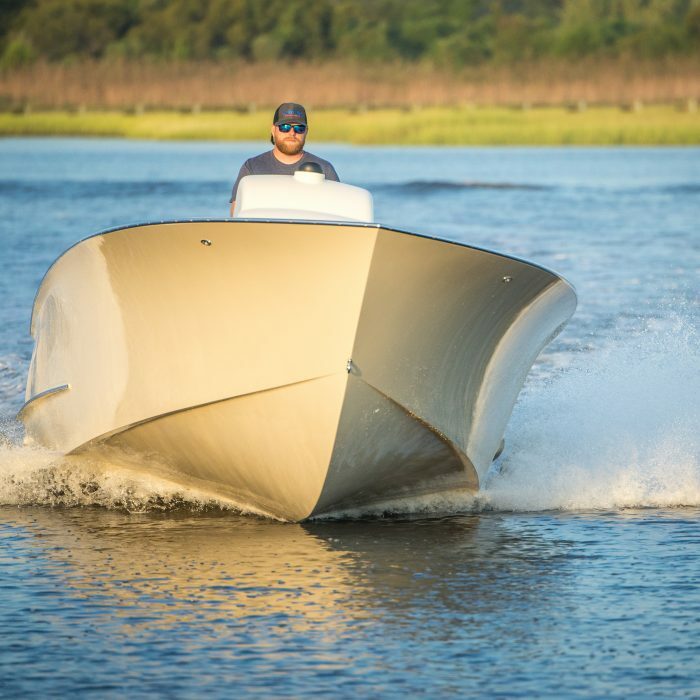 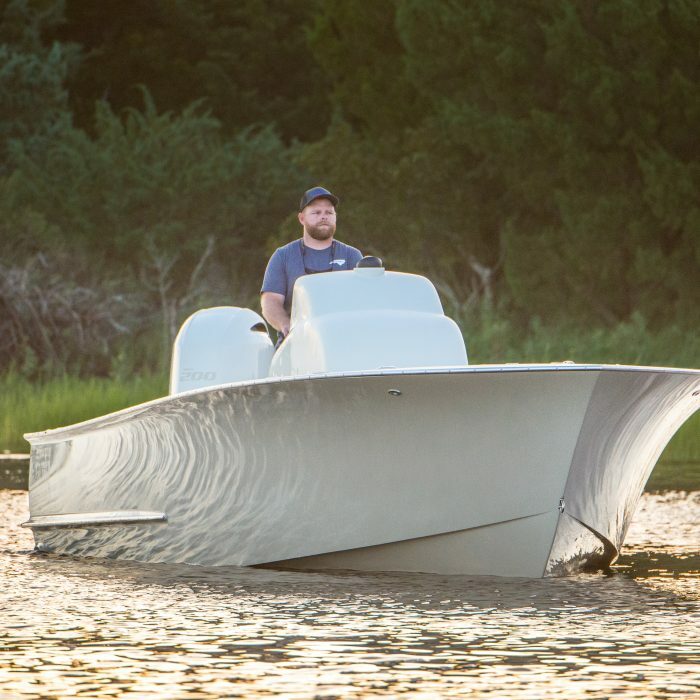 The Winter 24 bay boat was built with the primary intention of near shore and inshore sport fishing. 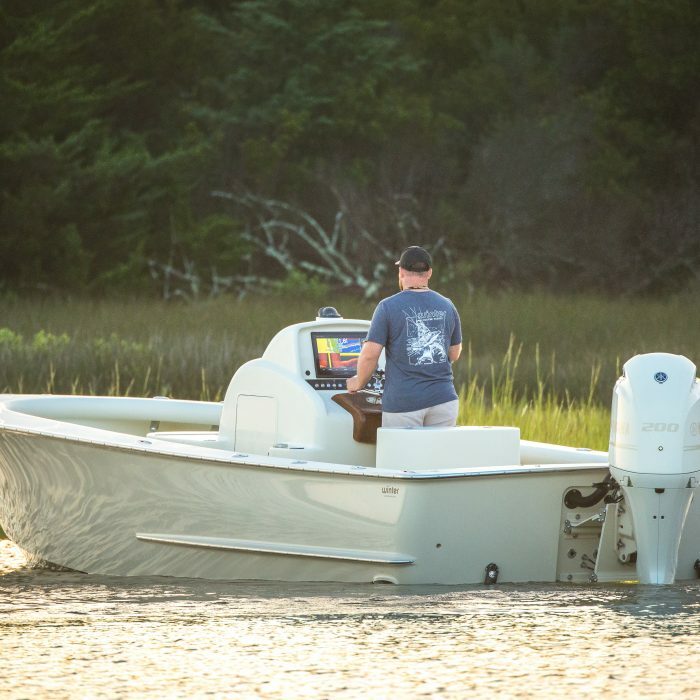 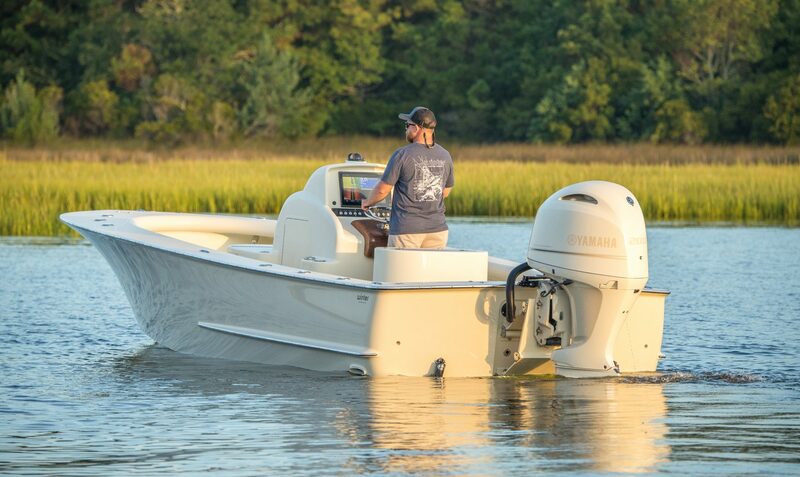 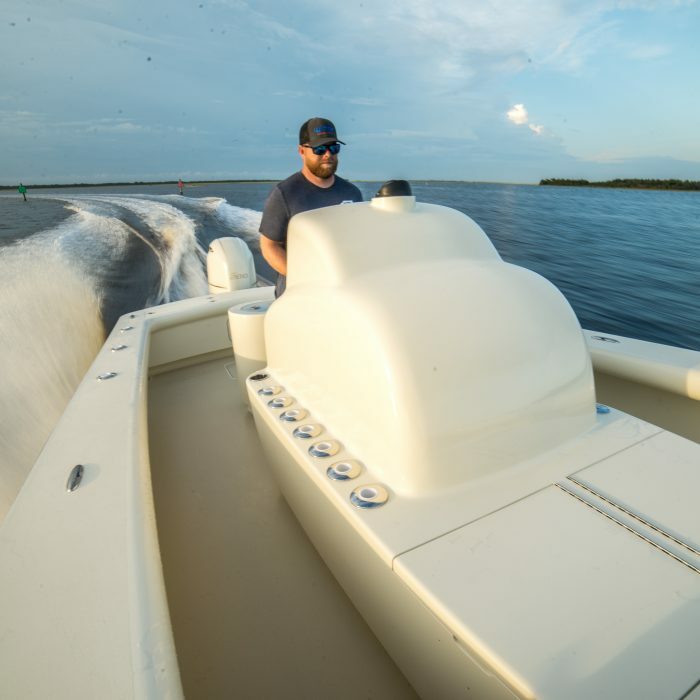 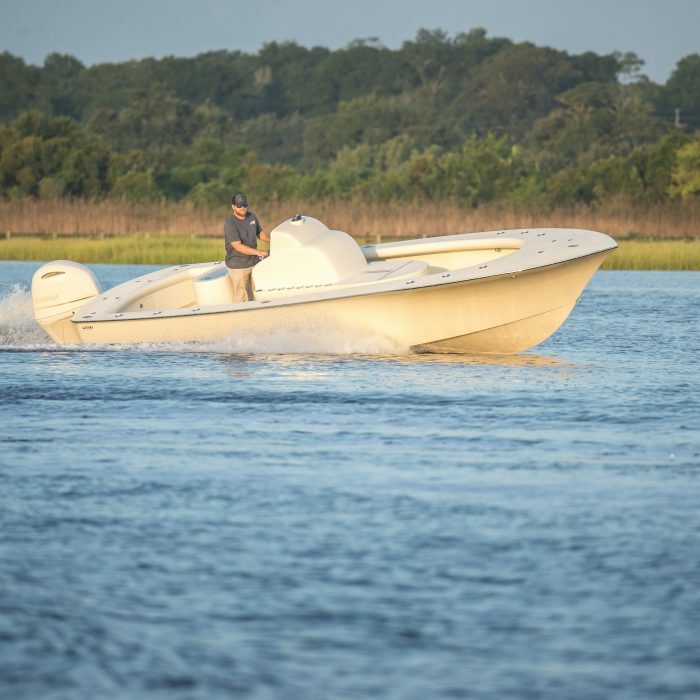 He higher freeboard and shallow draft make her the perfect hybrid boat for both fisheries. 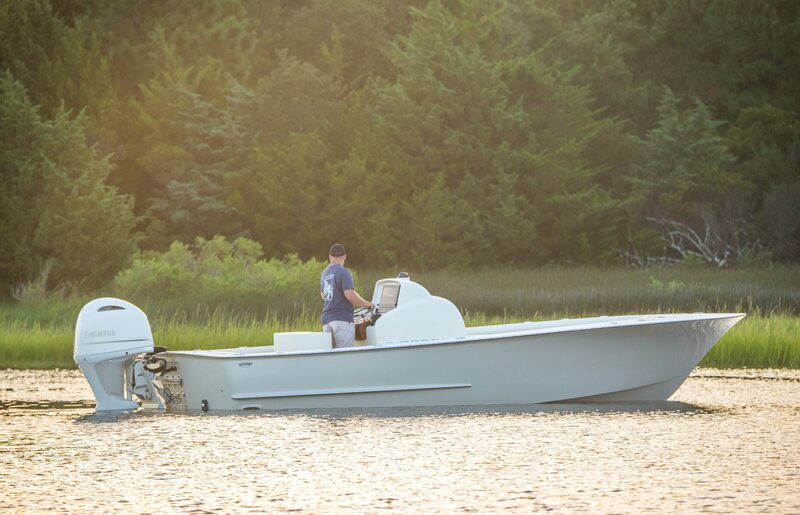 This build marks the second build with us for legendary fly fisherman Nick Smith. 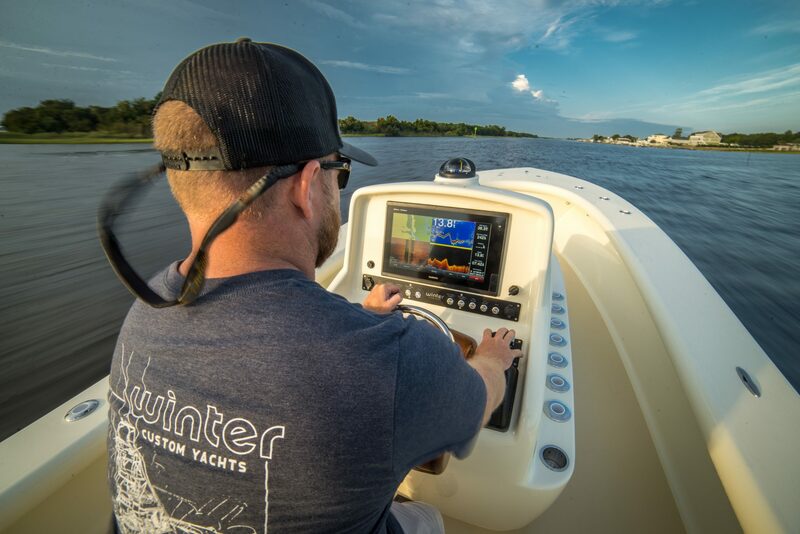 His attention to detail and experience always challenges us to elevate our product. 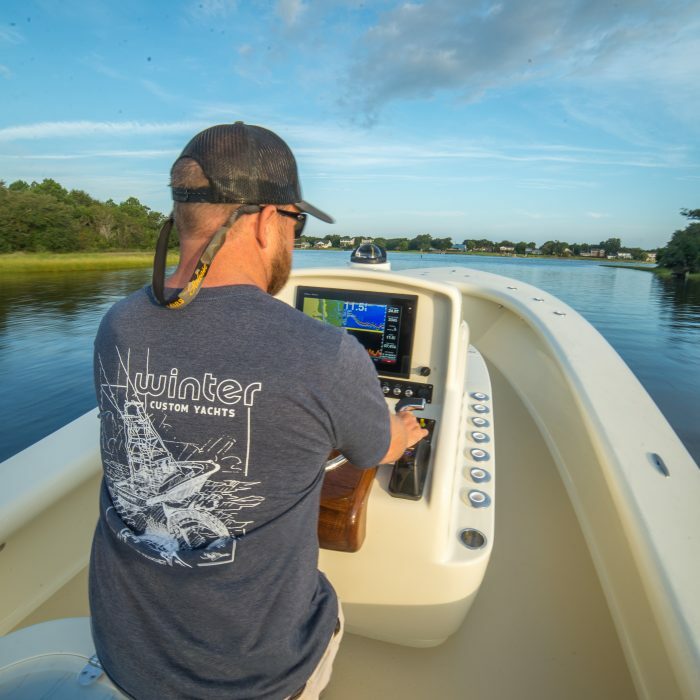 Look for Old Reliable in Stuart Florida where Nick spends his off time from fishing the world, fly fishing for Spanish Mackerel and other species. 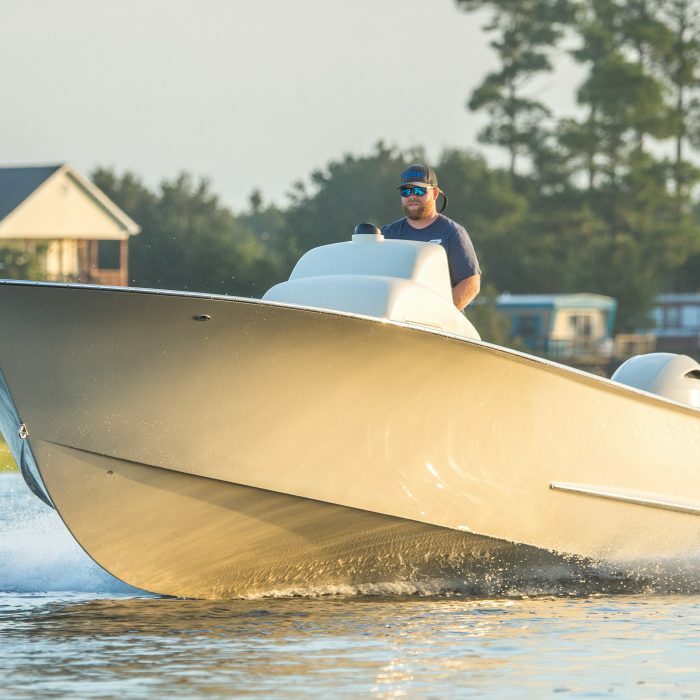 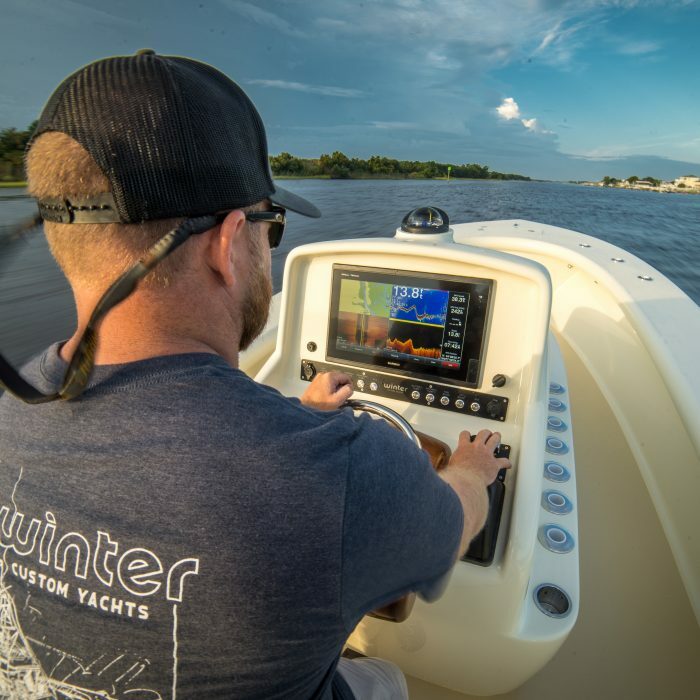 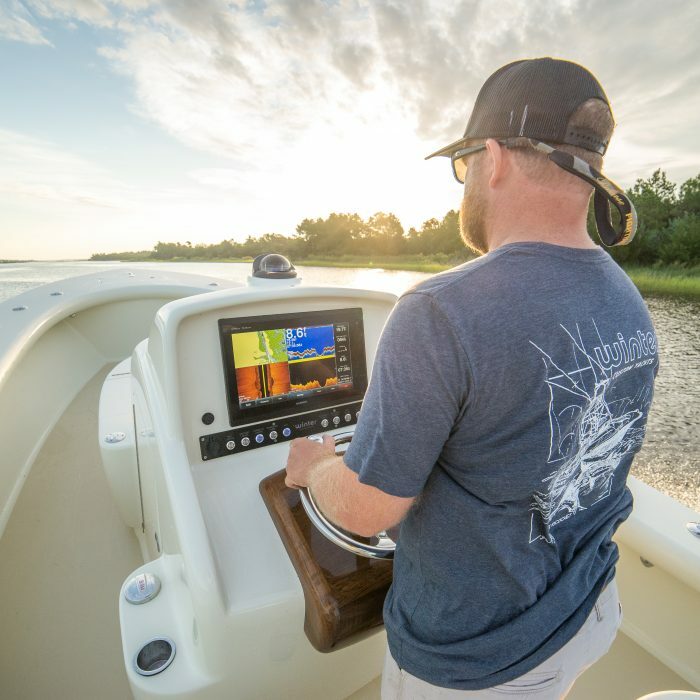 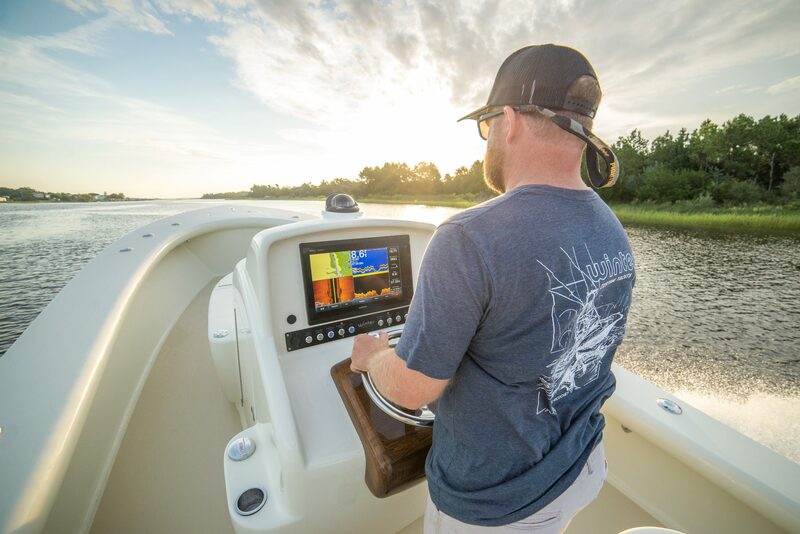 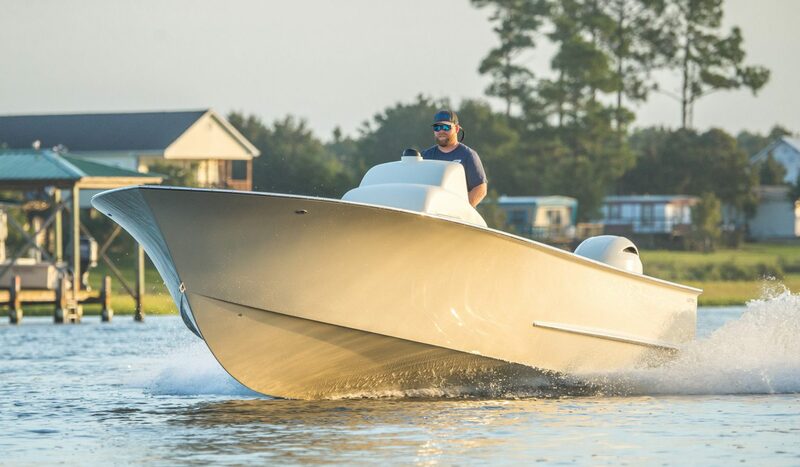 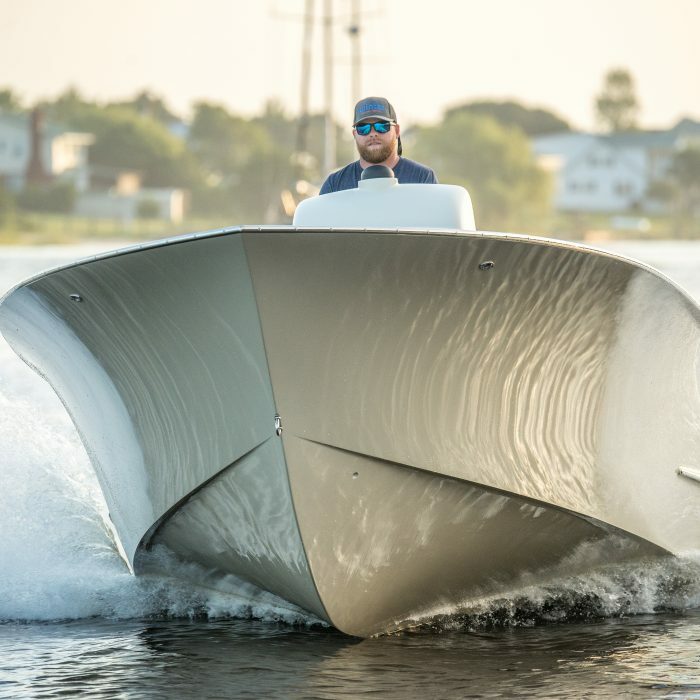 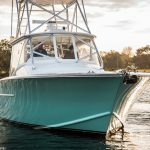 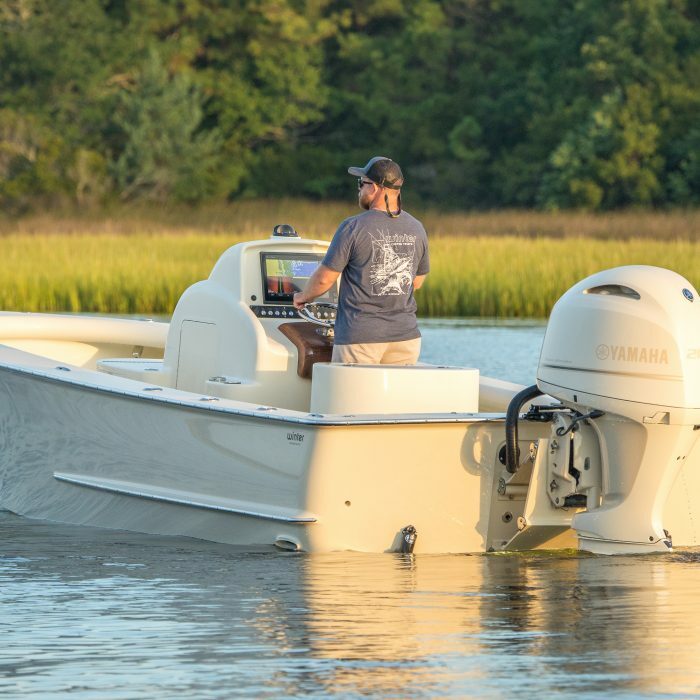 The concept to build the Winter 24 started with a conversation for the perfect boat to accommodate the angler who enjoys fishing near shore on calm days with the opportunity to fish the skinny water when wanted. 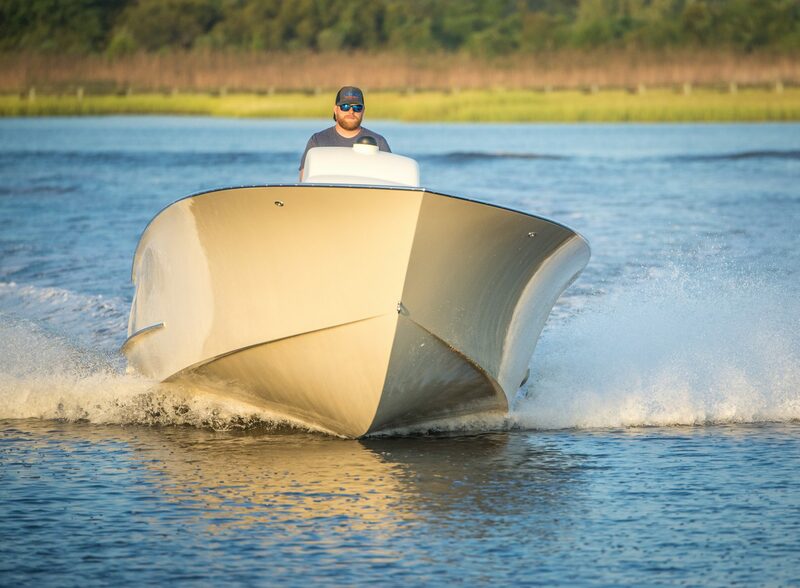 We attempted to build an all-around inshore boat and she performs just as that. 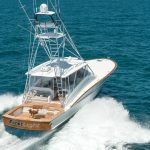 She features many attributes found on Nicks previous build. 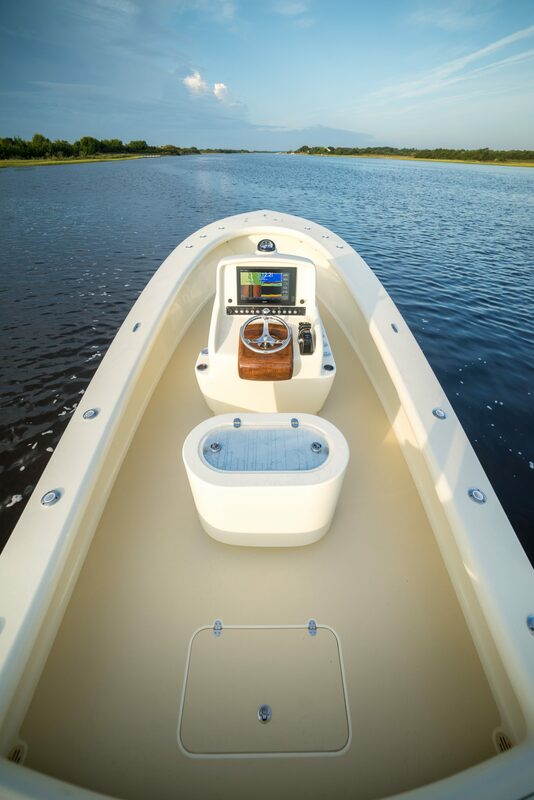 The top decks are clean, and are absent of anything that could snag a fly line. 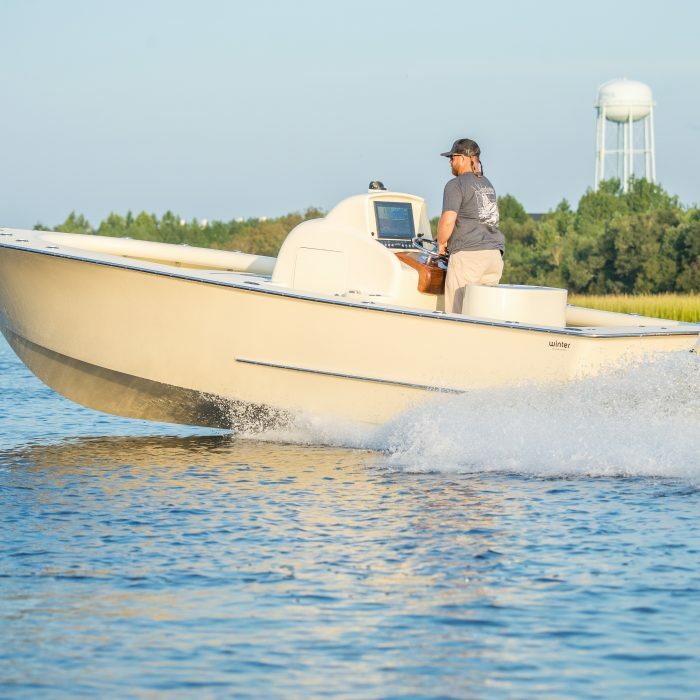 Her signature full round bolster coamings soften the pressure on your legs no matter where you are locked into when fighting a fish. 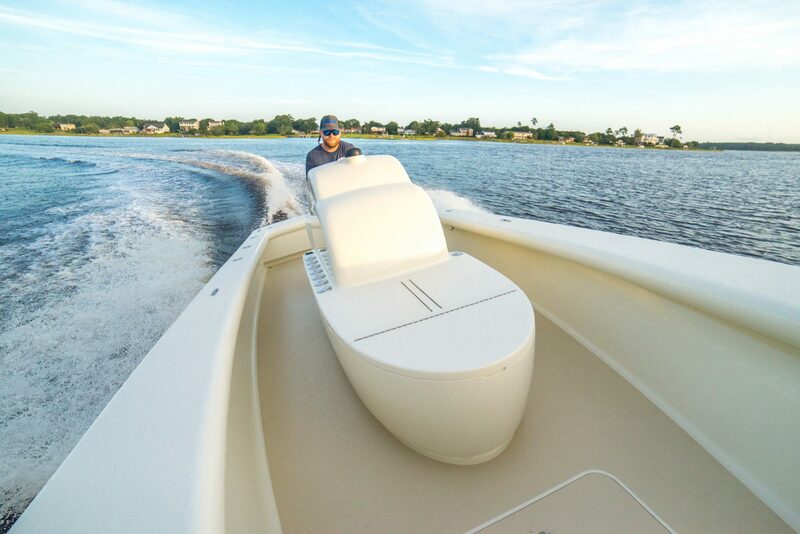 Aft along the transom a fish box and a drink box are optimum placed for ease of accessibility and make the best use of the space. 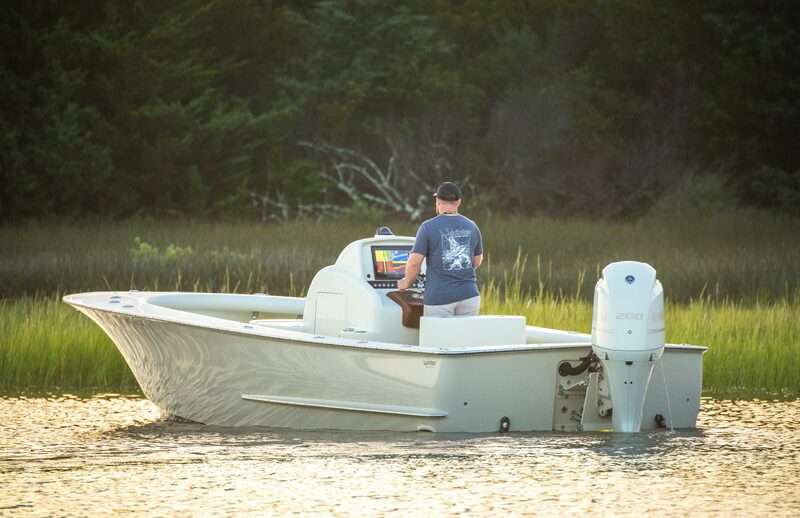 The console and the leaning post feature custom baitwells with self-cleaning capabilities. 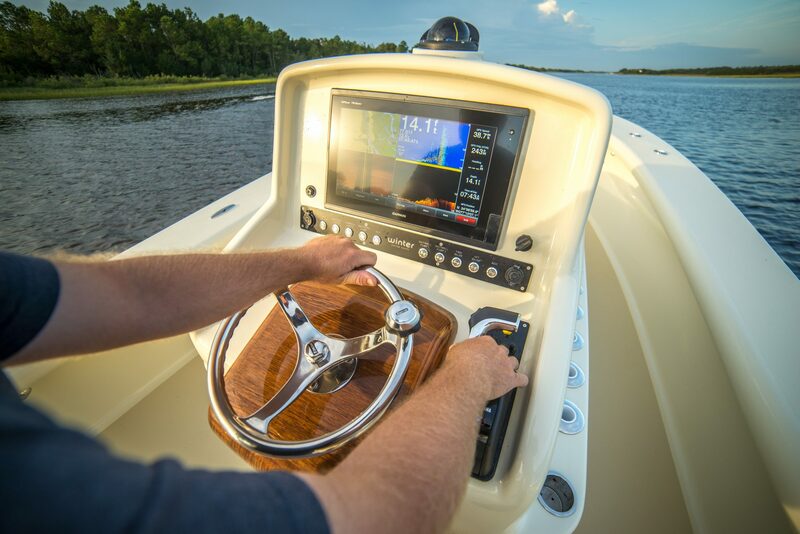 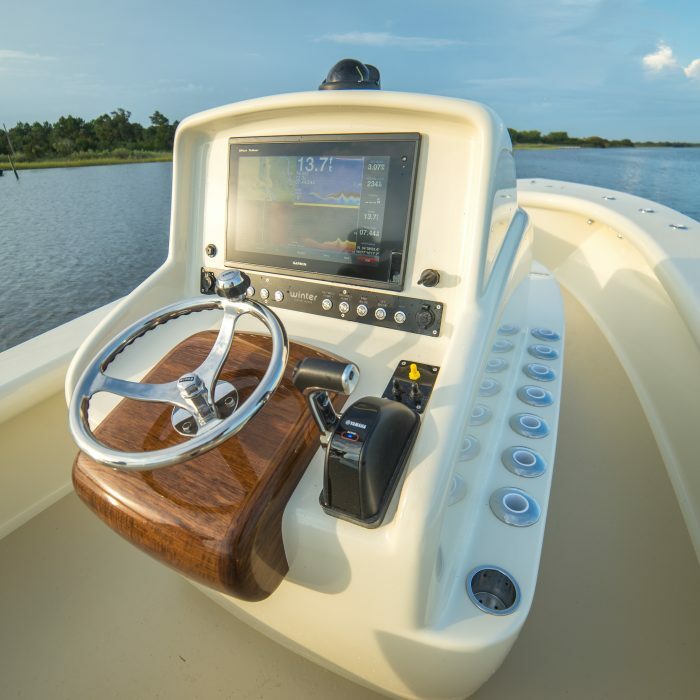 The simple helm with single Garmin display and teak helm pod is an example of “Less is More”. 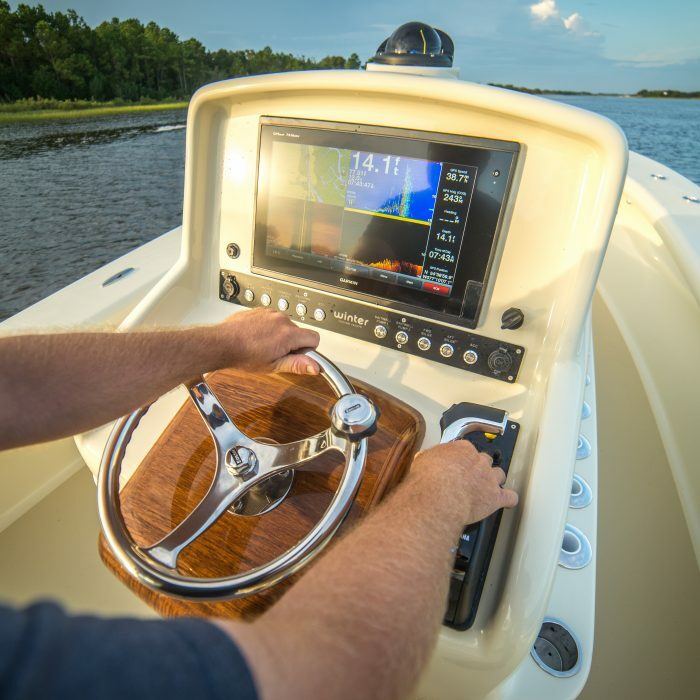 All systems are easily activated from a custom switch panel directly in front of the helm. 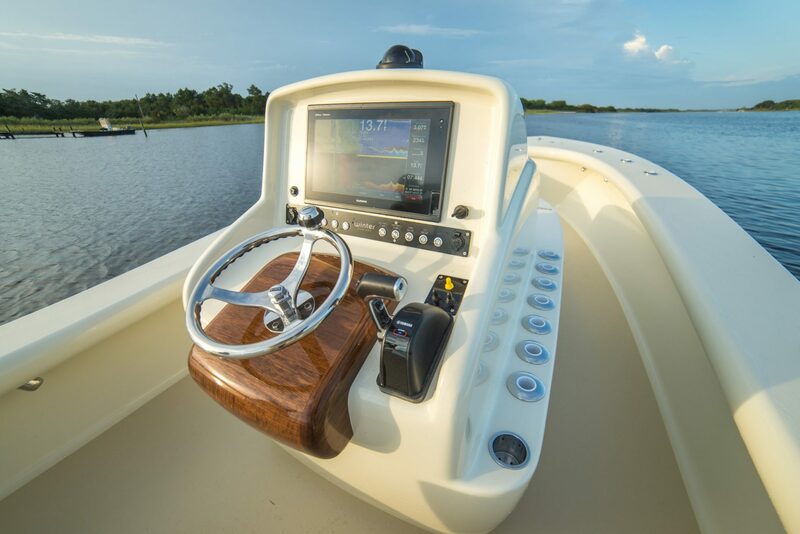 Vertical rod storage is found along each side of the console. 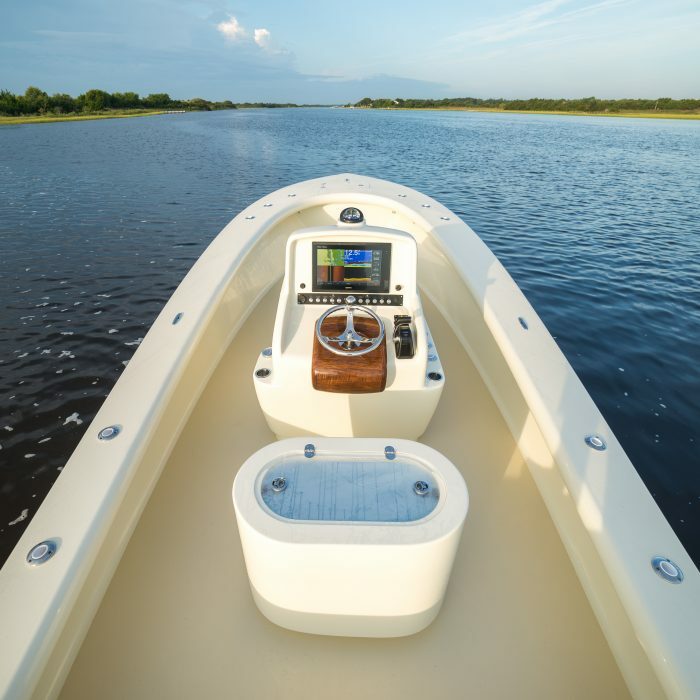 The enclosed transom with Porta Bracket makes this boat a safe vessel when sitting stationary in the ocean when sight casting or fly fishing. 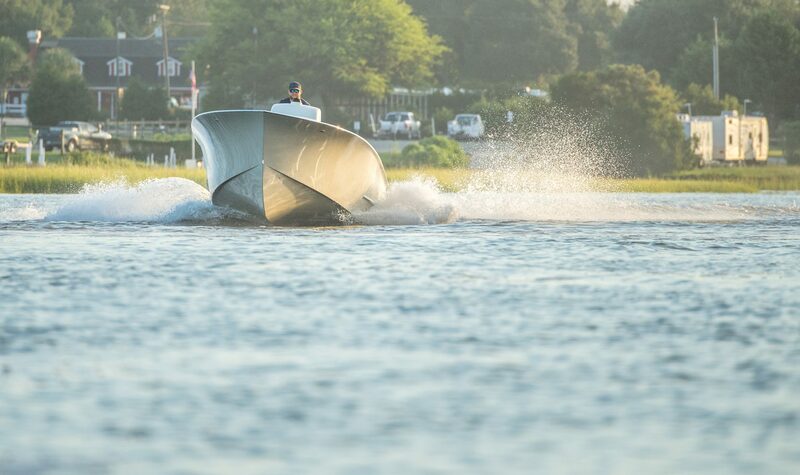 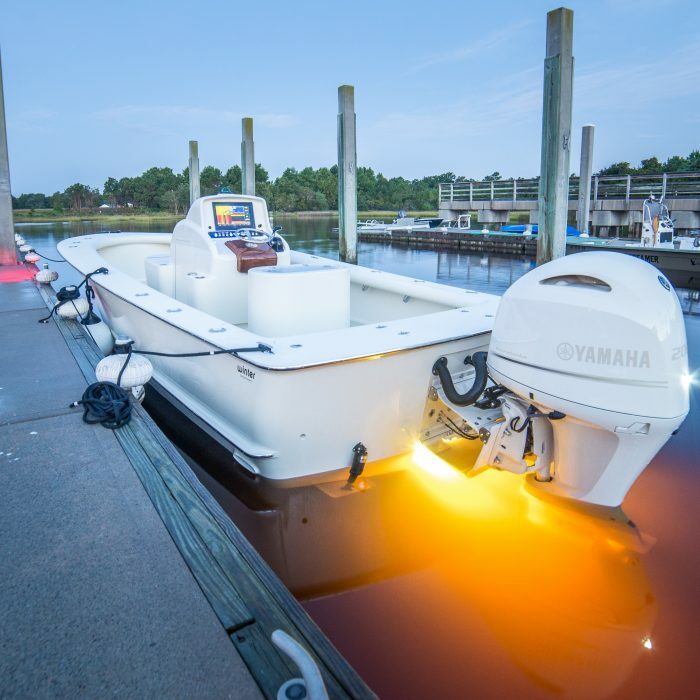 The Yamaha 200 adequately pushes this boat along at 40 mph with 4 adults on board and full of fuel. 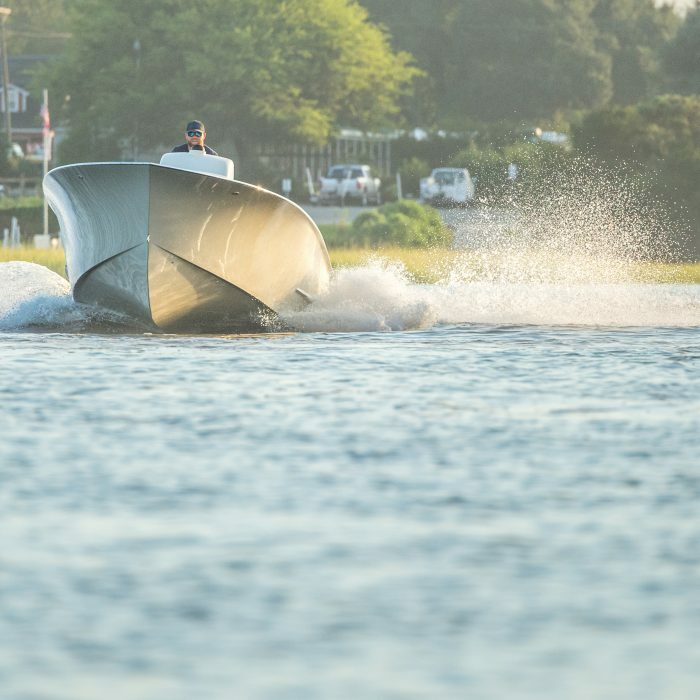 She can hold up to a 350 if you have a need for speed. 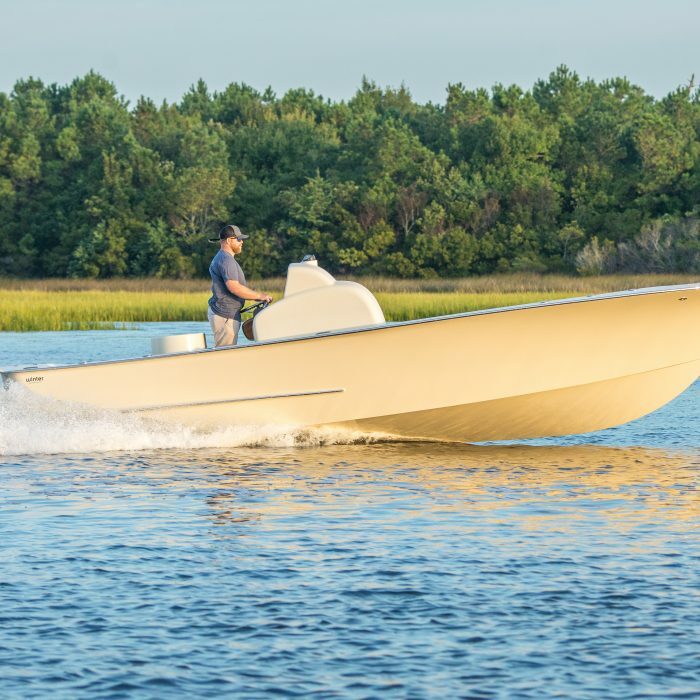 The 24 is an outstanding bay boat that can be very versatile. 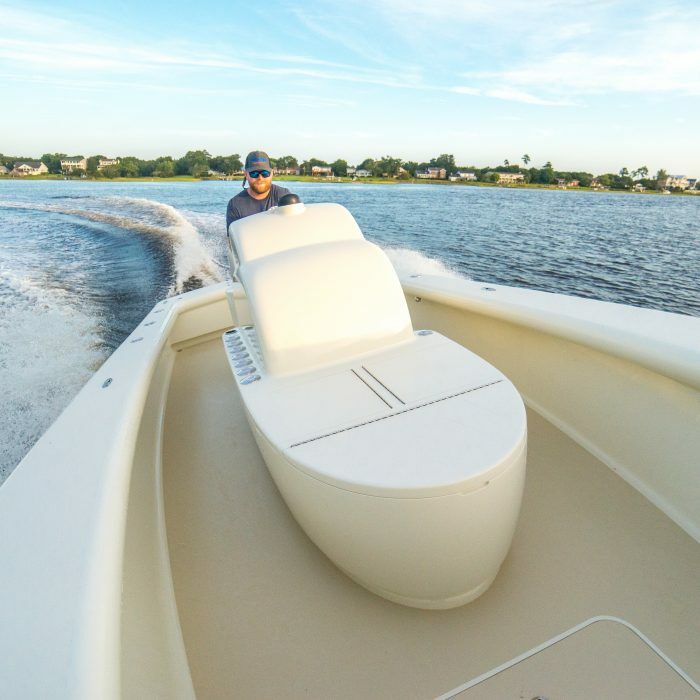 Her higher freeboard, and shallow draft make this an ideal platform. 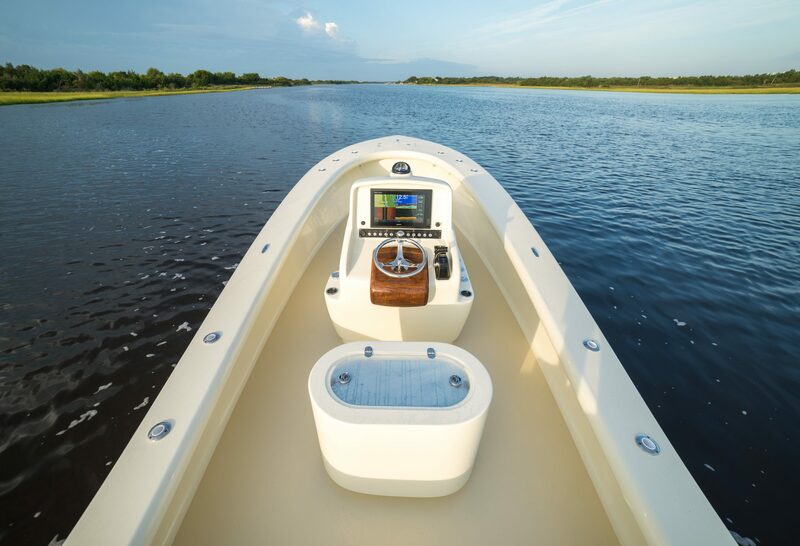 No matter if you are entertaining, fishing, diving, cruising, this boat can do it all. 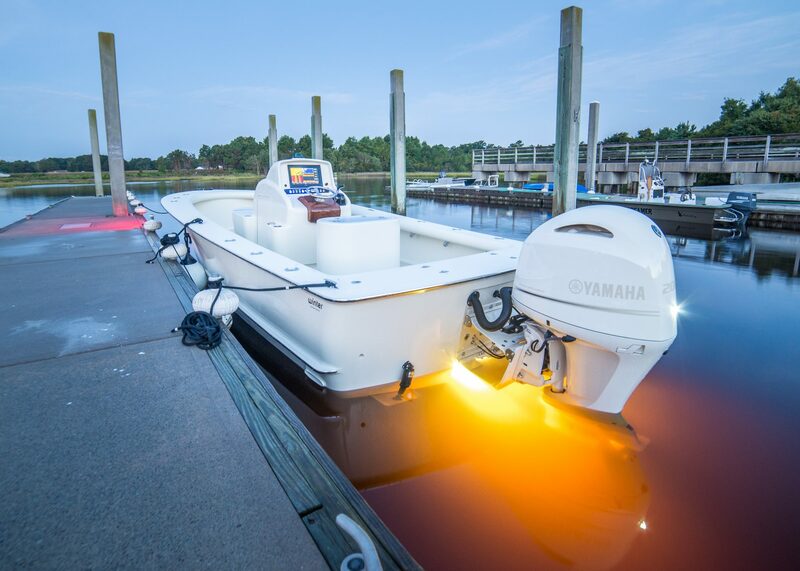 Everyone needs one of these on their dock!